Clem Vertigan just organised Victoria’s first ninja event last weekend. It was held at The Compound and had 4 stages, it looked like epic fun and Clem has been kind enough to give us some of his time. Clem! Thanks so much for chatting with us, have you recovered from the weekend? I think I have now. I was up most nights the week before finishing off obstacles or adjusting ones that didn’t work as planned! I hear that no one managed to conquer stage 2… I’m sure everyone involved will be training harder than ever to beat that guy next time… I imagine it’s really hard to design a course… you don’t want it too hard that everyone goes out on the 2nd obstacle… but you don’t want it too easy that everyone finishes… did the course design give you many sleepless nights? Sure did! I didn’t want it too easy and wanted to level the playing field for those that don’t come and train here, so the 2nd and 3rd stages weren’t finished up until just before so nobody had a chance to train on them properly. In the end, I felt I had a fairly easy stage 1, with a couple of tricky bits, but something that many people had completed in training regularly. Did you get a chance to give the course a run yourself, or were you working all day? How did you go? Were you surprised with how people went on the course? Definitely! There were a lot of guns competing. Some who’d completed stage one before in training in well under 2 mins. I was disappointed in my run, but more disappointed for these guys, they’d trained hard and deserved to do better. I really thought we’d have around 20 people get through stage 1, nerves and then those little mistakes took their toll for sure. Happy with the turnout? Do you think The Compound might hold another event in the future? Really happy with the turnout. Over 40 people signed up, which is pretty much capacity when you’ve got to get through the event in one day and you’re not sure how each person will go. First stage had a 3 minute time limit. The best part of the event, was everybody’s genuine support for their fellow competitors in getting through the course. Everyone wanted to see the next person succeed. Not many other sports have this aspect and comradery. Watching 40 ninjas take to the course after the event was over was awesome too, sharing tips and conquering obstacles, just having fun. We’ll definitely hold another event in the future. We’ll be kicking off The Compound Ninja Series next month. This’ll be a monthly comp. very similar to the one they run in Perth. 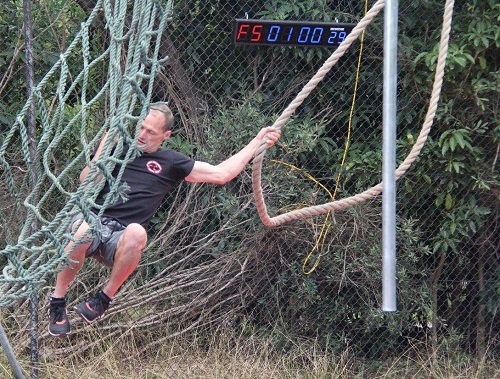 A course of 8-10 obstacles will be set at the start of the month, then on the last Sunday of every month, we’ll run time everybody who wants to compete. There’ll be points awarded for the best times and how far you get. It’s a competition against each other, the course and yourself. We’ll have leader boards and an overall winner at the end of the season. 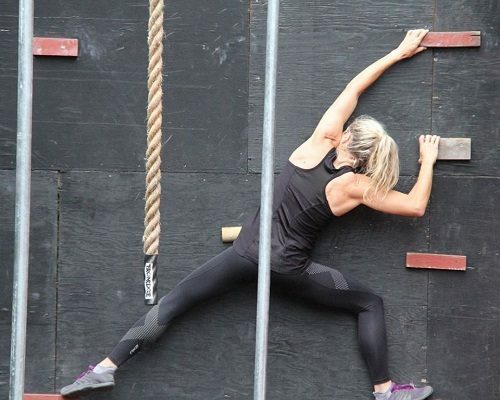 Other events we’re looking at are a Women’s only event, Team Event and an event that caters to those beginning in Ninja Warrior style of competing. 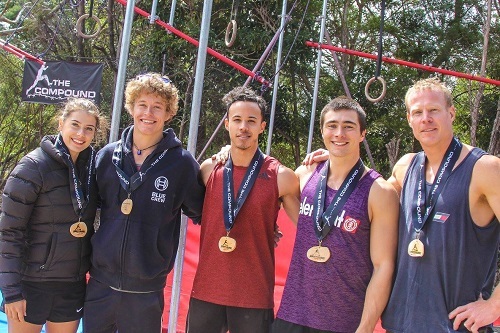 Where do you see the future of ninja warrior events in Australia heading? Do you think we could produce good enough athletes to bring it to a world stage? I hope we have a national series happening. I think it’s feasible. I think state rivalries will develop and this will feed the competition. It’s such a unique event with amazing people from all types of sports giving it a go, from elites and international sports people to backyard warriors. At the end of the day, it’s not just about being the best, it’s about being the best on the day! I think we already have athletes that could compete on the world stage and they’ll just get better, the more comps we have and the more training facilities there are. Thanks again Clem! Can’t wait to see what’s in store for us. Exciting times ahead! The Compound can be found on Facey, Insta and their website. Here is the Facey Event page for Victoria’s first Ninja event. → Fantasy Sports and Ninja Warrior – together at last!